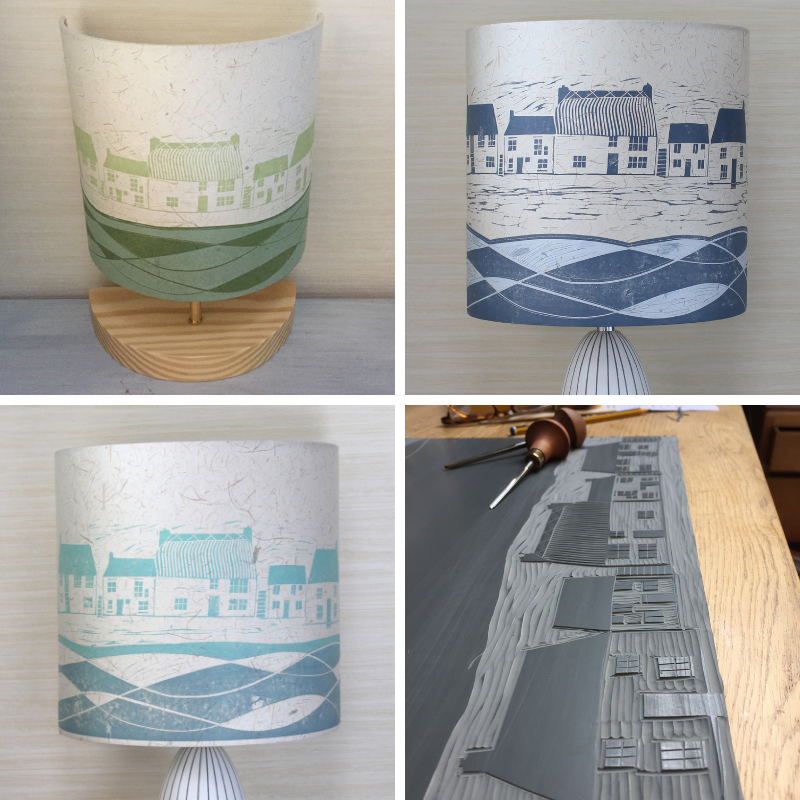 The linocut lampshades I have been developing over the past few months have proved very popular with customers old and new. 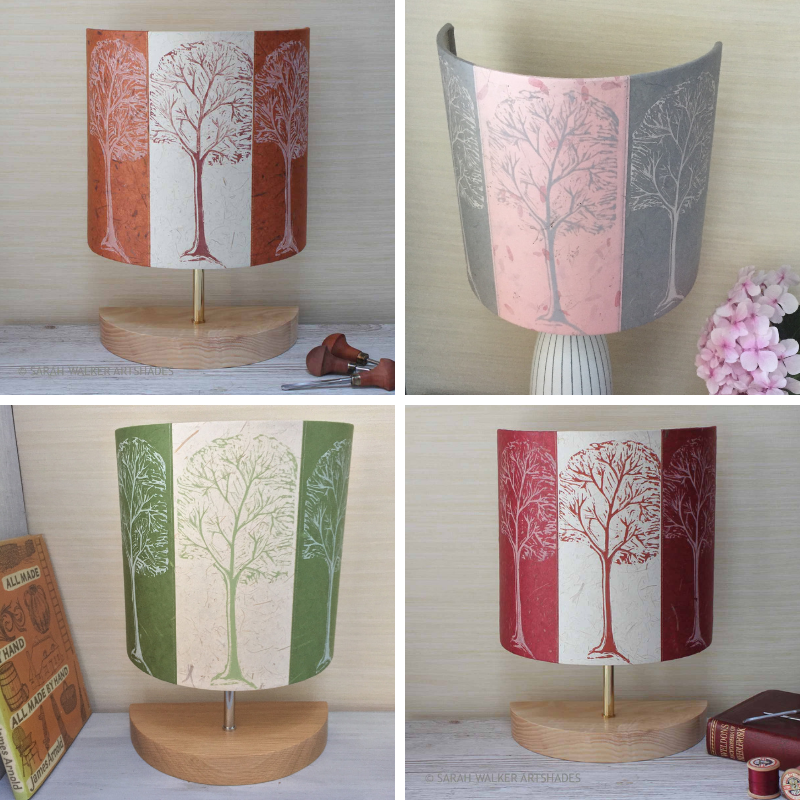 It’s been fun adding a little variety to my creative process and I’ve enjoyed creating a new collection which sits beautifully alongside my existing reverse applique lamps. Some combine both techniques, others combine ink and stitch. All are made with the same materials, passion and attention to detail. I’m happy to make to commission if you’d like a different colourway to add the finishing touch to your own interior decorating scheme. Following a commission from a lovely h.Art visitor, I am now cutting Beer beach huts into lino – watch this space! 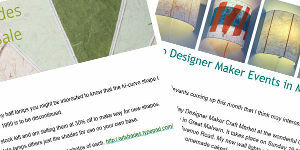 So lovely to find you at the Malvern Autumn Show Sarah and with such a wonderful new collection of ArtShades. Who wouldn’t be transported right back to those long, hazy days of holidays beside the sea with your new linocut cottages collection? Top tip to all holidaymakers – bin that tea towel souvenir right now … get your hands on a beautiful blue cottages shade together with one of a vintage ’70s map of Fowey, Padstow or maybe Looe and those memories will be bright long after the tea towel has been retired to the bottom of the rag pile!